You are currently browsing the tag archive for the ‘Snow White’ tag. As the mother of a 4 year old girl, I know Princesses. I live with one. 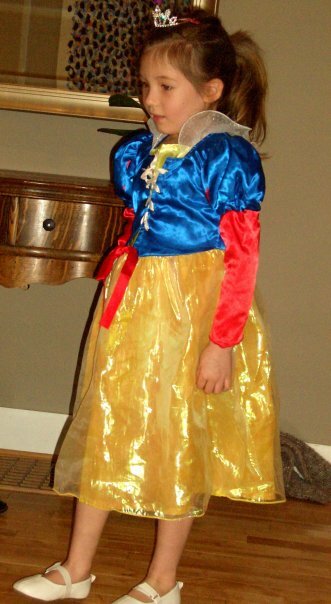 Maya will wear a Princess dress every chance she gets – and as soon as that polyester, sparkly, fabric touches her, and the tiara is placed on her head, she transforms. We were discussing the Princess phenomenon last night while in the presence of Snow White and Tiana, and wondered why it is such a huge thing for little girls. We don’t know why. Fantasy? Happy endings? I think they feel a sense of power and magic in those little dresses. Oh…to be 4. I remember seeing photographs a while ago about Princesses’ real lives. 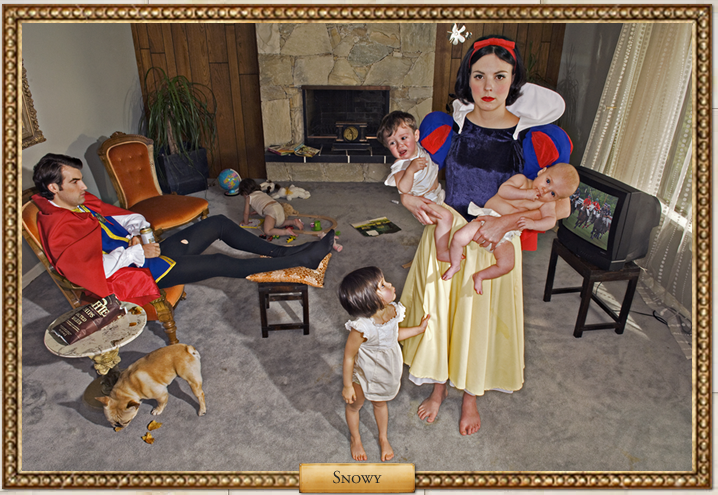 The exhibit is called ‘Fallen Princesses’, and Dina Goldstein illustrates these perfect Princesses in not so perfect situations. They are telling and beautiful images. For anyone in Vancouver, you can see the exhibit until January 15th at The Listel Hotel. I don’t think that I will show my daughter these photos. Not just yet…I will let her believe in Princesses just a while longer. 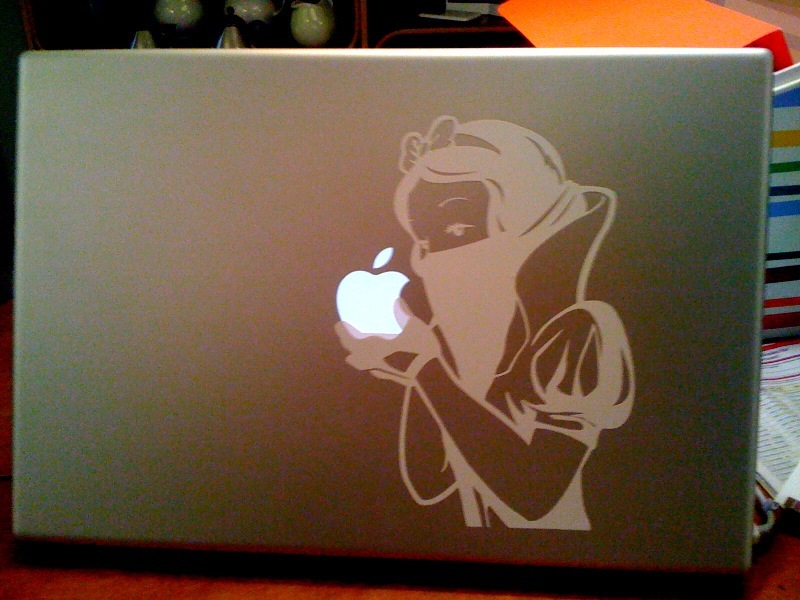 …and finally…my one and only Princess accessory!